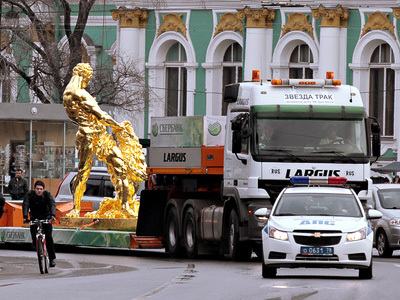 Only days since Moscow's winter melted the signs of summer are already trickling across the capital. This weekend marks the launch of the “season of fountains” in the city. ­Some 560 water cascades have burst into action after a long winter rest. Europe’s largest fountain, the Music of Glory, in the southeast of the capital, is also among the spectacular city sights. But, as RT’s Maria Finoshina reports, the most imposing fountains, built in the Soviet era, are located in the Park of Soviet Economic Achievements, known as VDNKh. 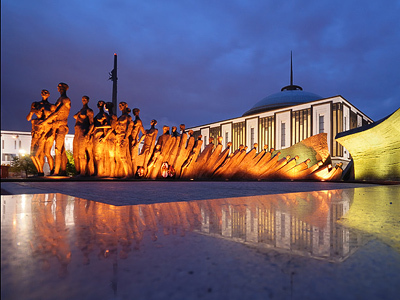 It is home to The Colossus Fountain, The Stone Flower Fountain, and the largest of all, Friendship of the Peoples Fountain – an enormous basin decorated with statues representing the different nationalities and republics of the Soviet Union. The water basin is 3,700 square meters, holding 4,000 cubic meters of water. The water is shot upwards from some 800 spouts, and the highest spout jets the water 24 meters into the air. Some of the capital’s fountains have color lights – the Pushkin Square fountain has three colors, while the Tverskaya Square fountain has six colors. In 1975, the Bolotnaya Square fountain became the first musical fountain in Moscow with light synchronized with recorded music. 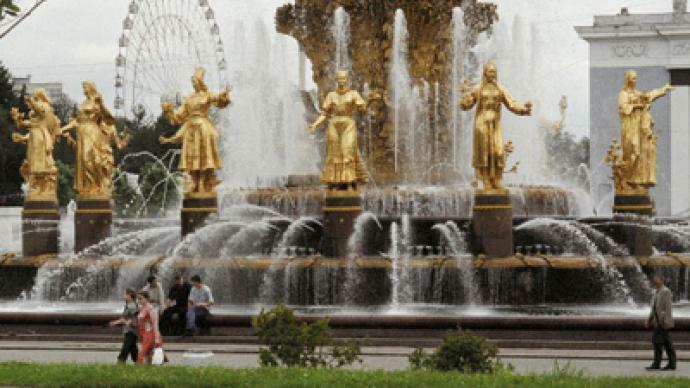 It was the last fountain built in Moscow in the Soviet era. The first fountain built in Moscow after the breakup of the Soviet Union in 1991 was the fountain in the memorial complex on Poklonnaya Hill, built in 1995 to commemorate the 50th anniversary of the end of World War II. Afterwards, a complex of 12 fountains in Manezhnaya Square, next to the Aleksandrovsky Garden was built as well as a number of cascades in different parts of the city. All the fountains will be operational until October 1.